The Bharatiya Janata Party (BJP) today released its poll manifesto for the 2019 Lok Sabha elections. The photograph of prime minister Narendra Modi is on the cover, and it is titled, “Sankalp Bharat Sashakt Bharat”, with promises to double farmers’ incomes and to build the Ram mandir, among others. 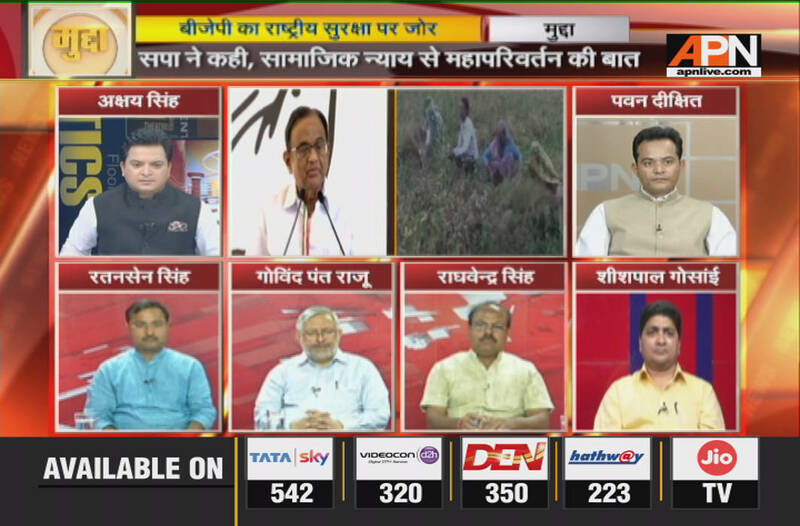 APN’s popular debate Mudda discussed the BJP poll manifesto. Anchorperson Akshshay posed the questions to panellists, including the Congress’s Pawan Dikshit, BJP’s Raghvendra Singh, SP’s Ratansen Singh, noted scribe Shishpal Gosain, and APN consultant Govind Pant Raju.